Fabian Schmiedel started playing drums when he was 12. He initially received classical training, before enrolling as a student at thePlanetDrum where he completed a five year professional training course with Mirko Schmitt. He then studied jazz under Uli Lenz for a number of years, which led to him playing in jazz bands and receiving support from a program provided by Berlin-based music schools. While expanding his drumming styles to include jazz, Latin, funk, rock, drum and bass and independence, he also learnt how to work with different kinds of percussion instruments. 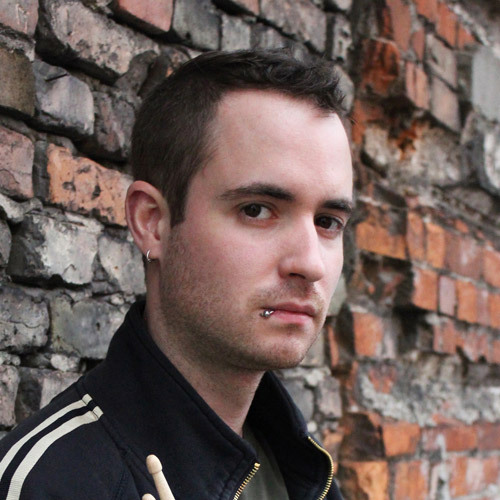 Fabian has played in a number of bands over the years, in a wide range of musical genres such as rock, jazz and punk. These include his punk band Hausvabot, which is a constant presence on the German music scene and has now been touring all around Europe for over 10 years. He’s gained a great deal of session and studio experience over the years, and is passionate about passing this on to his students.